Disfrute todos los viernes de música romántica en vivo. Para eventos privados, bodas, grupos de incentivos, etc. Contamos con una amplia variedad de entretenimientos y servicios. Gracias a nuestras excelentes instalaciones, privilegiada locación y visión para los negocios, Alux te ofrecerá varias opciones para cualquier evento que tengas en mente. Somos el espacio ideal para celebrar reuniones y cenas de negocios, grupos de incentivo, fiestas privadas, presentaciones de productos etc. estos acompañados de un espectacular escenario, te ofrecemos una amplia y original gama de alternativas de entretenimiento. En Alux Restaurant nos especializamos en bodas, eventos presentacion de marcas y cenas de ensayo. Dependiendo sus necesidades podemos ofrecerle un espacio privado o el restaurante completo. Bovedas Privadas: Seis áreas en las que podrá disfrutar de la privacidad cenando o tomando la bebida de su preferencia. 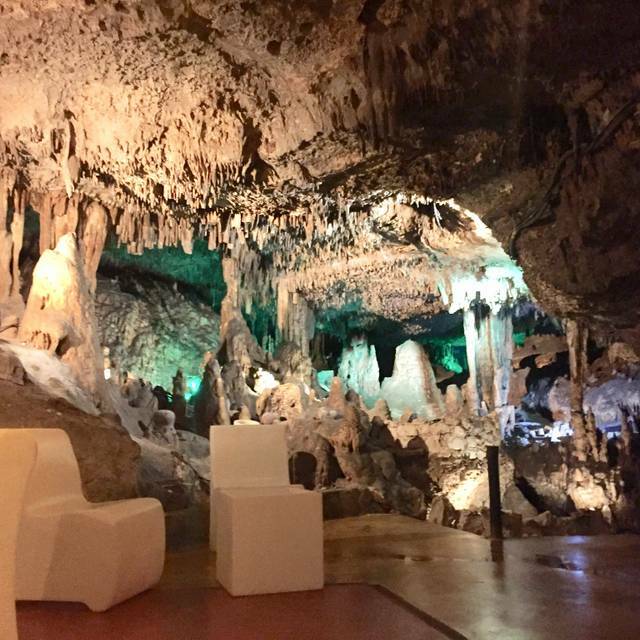 Alux es un Restaurante dentro de una caverna natural. Un lugar único para disfrutar de una velada mágica. La creación y formación de la caverna es milenaria. En este entorno de verdaderos palacios subterráneos decorados con singulares estalactitas y estalagmitas usted podrá disfrutar de un espectáculo natural. Con una capacidad de atención de mas de 250 comensales, nuestra caverna cuenta con diversos ambientes diseñados para que usted disfrute al máximo de su estancia, todos acompañados por nuestra alta cocina que nos distingue en esta región de la Riviera Maya, y por supuesto una amplia barra de Bebidas Nacionales e Internacionales. 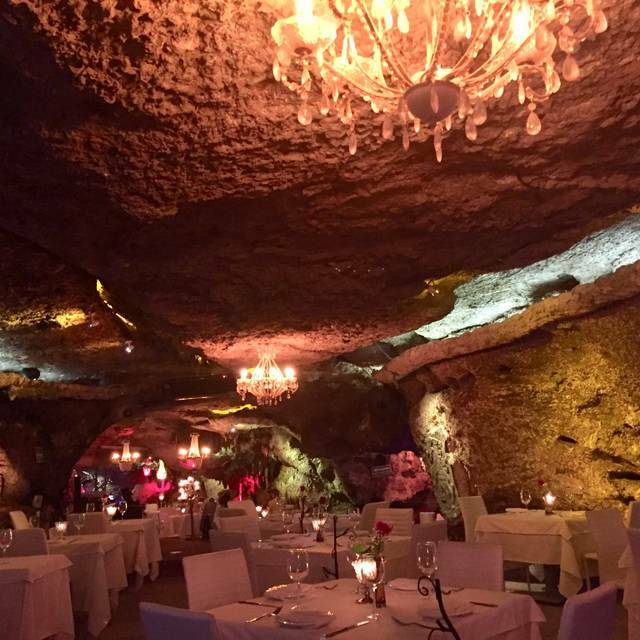 Para crear un restaurante en esta magnifica caverna, la cocina tuvo que ubicarse en la superficie, por lo cual los tiempos de espera son un poco mas prolongados. Disfruta de una deliciosa cena en un entorno natural y místico. Alux Restaurant es una experiencia única e inolvidable. This used to be a destination while in a Playa del Carmen a few years ago, but is now under the new management it is overpriced and the menu / food not so good. Also didn’t appreciate the lecture on tipping by the waiter. belle expérience, magnifique resto et bon service. oui c'est cher mais c'est une expérience, on paie pour manger dans une grotte!! la bouffe etait correct mais sans plus, et oui le vin est tres cher, 50$ pour la moins cher bouteille, mais je continue a dire que c'Est une expérience unique de manger dans une grotte!! on a bien aimé nous!!! Took my wife, her son and his girlfriend there for dinner. 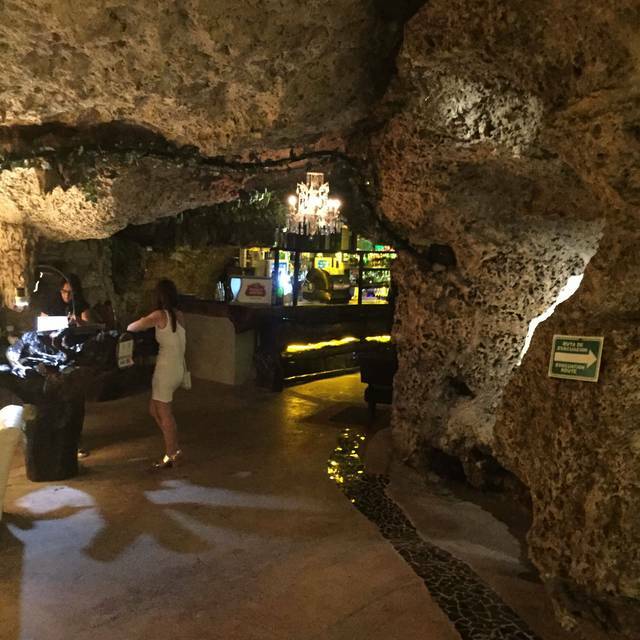 It is a beautiful one of a kind restaurant built in a cave. The service, ambiance, food and drinks were all fantastic. I try to eat there on all my trips to Cancun. 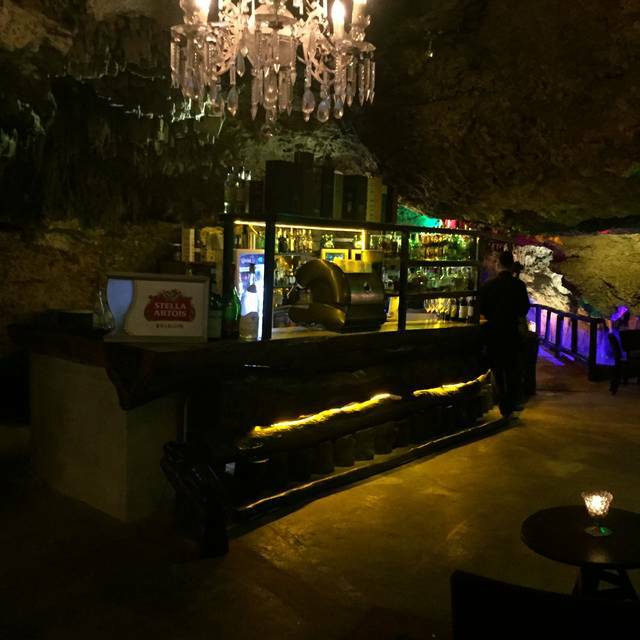 It is a romantic place to take a date with cocktail lounge and entertainment. Would highly recommend. One of a kind dining experience. Great live music being played by dj. Very attentive service. Perfect ambience. Food was good. I was slightly bummed because we travelled to Playa just to eat here for my birthday, which was two days before, but we were told that they wouldn’t do anything special because it wasn’t the actual day of my birthday. Had we known this prior to making reservations our travel plans would have been different. Still great experience though. Great service and cocktails, the place is unique and perfect for couples. Absolutely stunning and breathtaking. Service (Hiram was our waiter) was outstanding, prompt, and kind. He was so informative about the caverns, food, and wine. I've never experienced such beauty during a dining experience. Everything was almost perfect until the server started to beg for more money for the tip. 1ere visite en mars 2016 et 2ème visite en mars 2019. Notre 2ème visite nous a très déçu. La qualité de la nourriture était moins bonne mais le prix a testé élevé. Rapport qualité prix mauvais. Cierran muy temprano, la comida no es suficiente, el lugar es extraordinario, el servicio malo. Celebrated a birthday. It’s a very impressive restaurant with amazing food and service. Por donde eatá, el embiente y el sabor de la comida. Además me ha gustado la bodega para elegir el vino, para acompañar la comida. Even though I expected this restaurant to be overly touristy, maybe even a little campy, we enjoyed the experience thoroughly. It is more in a residential area rather than in the hubbub of Playa. The cave is beautiful and we dined next to the cenote. We went early so there was not the inevitable crowdedness by 7:30 or so. The menu is exotic without being too esoteric ("marinated grasshoppers"). We were very glad that we included Alux (pronounced "A-LOOSH" to the taxi driver) in our itinerary. Would love to have a private party there someday. Suenos. Husband and I were on all inclusive vacation - it was nice to get out of the resort and threat ourselves to Avery nice evening. Ambiance was nice. 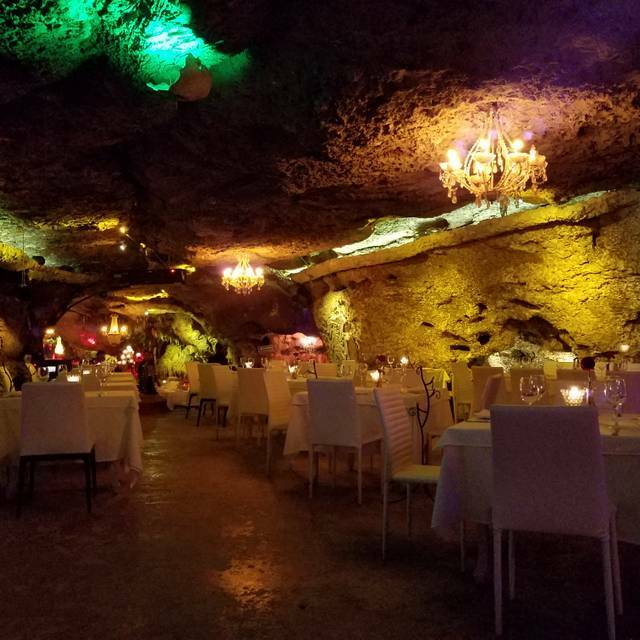 The fact that you eat dinner in a real cave was different. Food was over priced for what you get. I ordered the king crab pasta and it came with a few pieces of crabmeat on top. My wife ordered the lamb and received the smallest cut of lamb I have ever seen. So much so that she asked to send it back and the manager came over saw it and apologized. It was replaced with a new order that was only slightly better and by the time it came out I was already done with my food. Drinks were good and so was the service but don't go there hungry. No I wouldn't return or recommend. L'ambiance est bien, le service est excellent et la bouffe est divine! Profitez-en! Malisima la crema del día se le comentó al mesero y no hizo absolutamente nada solo asintió, el dorado en salsa de almejas de regular a malo (pastoso), los otros dos platillos que ordenamos de regular a bien (por el precio esperaba mejor calidad y sabor de los alimentos), definitivamente un hermoso lugar pero no cumple la expectativa en alimentos, (aunque andaban estresados cerca de nuestra mesa por una pareja que se les fué creo sin pagar. First food: The food was average, especially for what we were paying. The seafood was actually pretty good, but the steak was average. The desert was very good. The setting: It is a very unique atmosphere. 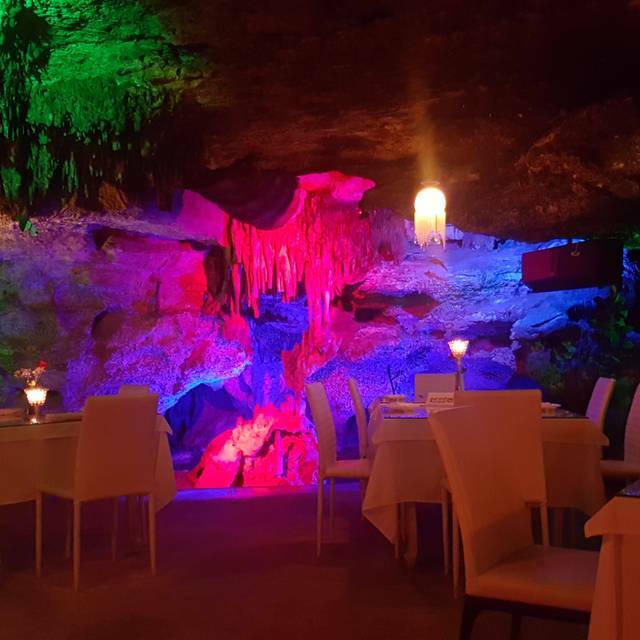 The whole restaurant is inside of a cave. I would think some people would like this a lot but some people would be very creeped out. If you are claustrophobic it will bother you. But it is incredibly unique, just kind of weird. It seems like it is one of those places, like so many, where the gimmicky atmosphere makes for a lazy kitchen. I wouldn’t go back although it was a different experience. 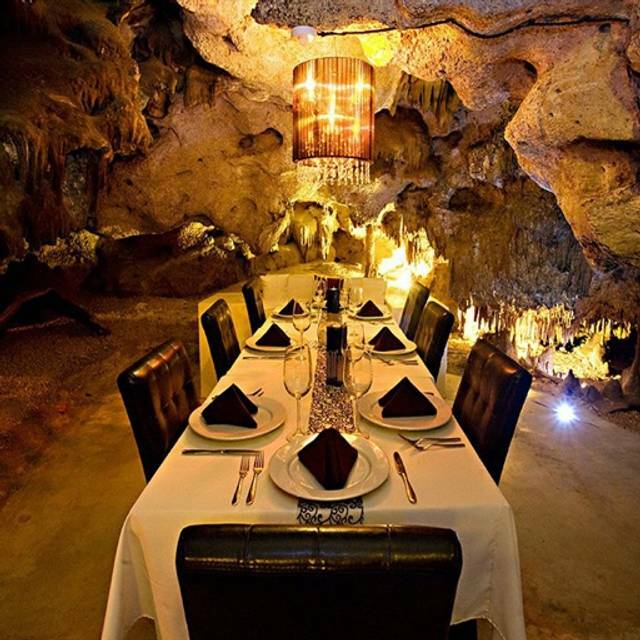 And if you like caves, definitely walk all through the restaurant. 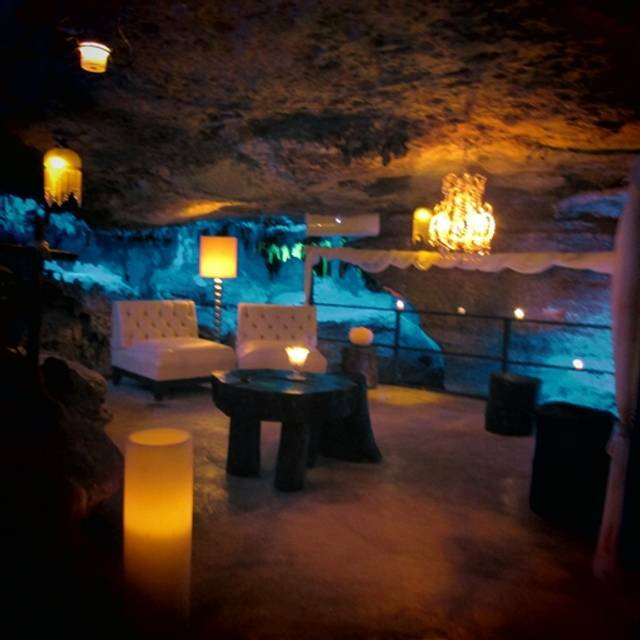 It’s quite extraordinary to have a cavern right there below the street in downtown Playa del Carmen. This restaurant is truly a hidden gem! The food and service was exceptional! Interesting setting and nice service. Menu was overly complicated and a bit odd. Wild boar, buffalo, grasshoppers?? The simple house salad, while tasty, had too many ingredients. I am not a picky person, but struggled to make a selection. Chose the salmon which was a good, safe choice. Llegamos temprano a las 6:30 de la tarde. El restaurante estaba medio basio, pero nos sentaron al lado de otra pareja. El ambiente era increible en una cueva sin fin. La comida la servieron bastante rapido. Las porciones eran demasiado pequeno. Le conteste a mi esposa que no me llenara una muela. El "steak" (bistec) mio era chiquito, acompanado con tres papitas pequenas. Mi esposa le servieron dos "scallops" de pequeno tamano y dos costillas de "lamb". La cuenta era bastante grande, considerando que salimos con hambre. Wonderful experience from start to finish. Wonderful presentation and service. Very good food, music and ambience. Go! 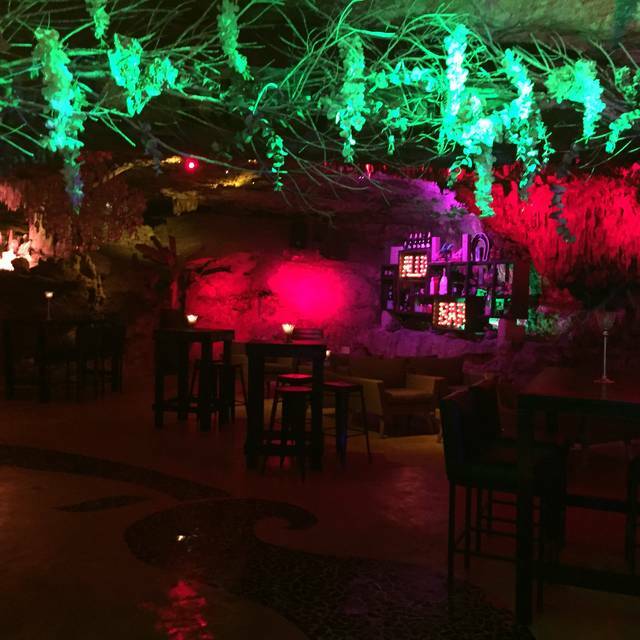 Dine in a cave with a Cenote! A wonderful dinner, with a beautiful setting. Everything was top notch. Un lugar bonito con muy buen servicio pero la comida no fue lo que esperábamos. Se tardan un poco en llevar los alimentos a la mesa por lo que ofrecen un recorrido por el lugar, el cual se encuentra ambientado con luces. Es un lugar diferente e interesante pero la comida podría estar mejor. Excellent service. Very attentive server! Will definitely come back! We took family who were visiting us for their first visit. Great service. Dolly was our server and she was excellent, very friendly. Food was delicious. Selected wine from the Cava. Music was perfect, not too loud, great mix. Wonderful visit. While vacationing in Playa we came across Alux in Instagram and decided it was a must. Who wouldn’t want to eat in a cenote?! So glad we did! The staff, including our waiter Adair, were pleasant, professional and offered great service. The cocktails were very well done and the food was delicious. We had the Land and Sea; the lobster were a very good size and the steak was very tasty. I wasn’t a fan of the pork and my only complaint would be the vegetable. There was a pea/corn medley that looked like something out of a bag with some zucchini and carrots added. It dulled down the meal in my opinion. Cheesecake was delicious, not too rich and perfect size. After eating we wandered through the rest of the cenote and saw the private eating areas within. The location is amazing and can’t be topped. Great ambiance and something we are so glad to have experienced. Took our breath away. Everything was unique and awe inspiring, for example the cenote tour, the live music and the pick-your-own wine cellar. Essen ok , jedoch für die aufgerufenen Preise viel zu teuer! Jenseits von gut und böse! Location ist cool, mehr jedoch nicht ! The atmosphere is worth the visit when in Playa Del Carmen. The food was alright and the menu selection adequate. The wine cellar was nice and had a variety of wines from all over. The service was ok but the staff was not overly helpful or friendly. Still, to eat dinner in a cave was amazing!